Ben Affleck Reveals His Next Target! It was later confirmed that indeed, we’re getting Deathstroke in the Batman solo movie! 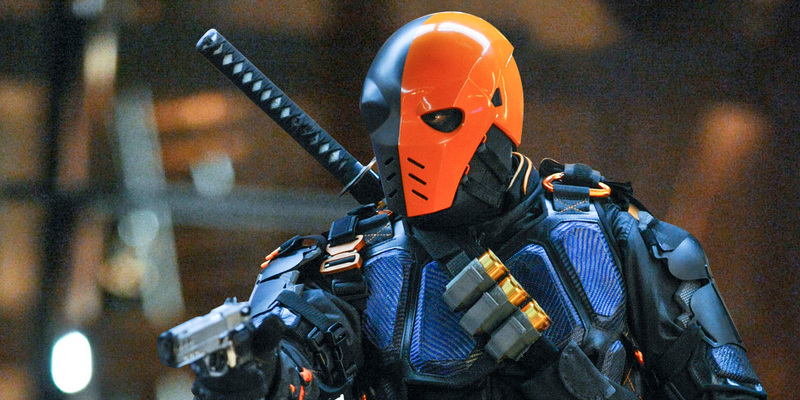 Slade Wilson has made a silver screen appearance on the CW’s Arrow, but it will be interesting to see where they take the mercenary for his debut to the big screen. It was long rumored that we were going to get Deathstroke in the summer blockbuster Suicide Squad, even going as far as naming Joe Manganiello to the role. Still no word on who is behind the mask, but for now… the hype builds up to what hopefully will be the first DC movie to not disappoint in one way or another for the DCEU. One can only hope.